My parents are divorced/separated whose information do I submit on the FAFSA? The FAFSA parent is defined as the parent that the student has lived with the most in the last 12 months. If the student lived with both parents equally, then it would be the parent that provided the most financial support in the last 12 months. I submitted my FAFSA but it doesn’t show as a received item in MyCharleston. Generally, after the FAFSA has been submitted, it takes about a week for our office to receive the data. The same holds true when FAFSA corrections are submitted. My student was selected for verification. What do I need to provide? Please refer to the verification link on our website for step by step instructions on how to complete verification. The verification worksheets are available for download here. I was selected for verification and turned in my 1040 form, but I haven’t received financial aid. In order to complete the federal tax component of verification, students and/or parents must submit either a federal tax return transcripts or use the Data Retrieval Tool within the FAFSA. Do I have to use my parents’ information on the FAFSA? When completing the FAFSA, you must use either biological or adoptive parental information. Unfortunately, you cannot use aunts, uncles, or grandparents. I am independent, why is it asking me for my parent’s information on the FAFSA? In order to be considered independent for financial aid purposes, you must be able to truthfully answer yes to one of the dependency questions on the FAFSA. If you cannot truthfully answer yes to one of those questions, you will be considered a dependent student and therefore must provide parental information. The filing of an individual tax return is not sufficient to be considered independent. What is the priority date for receipt of the FAFSA? My mom is on my FAFSA, but I want my dad to be able to discuss my financial aid. In order for our office to discuss information with a party other than the student or the FAFSA parent of record, please complete a FERPA consent form and submit it to the Registrar’s Office for processing. What is the Cougar Advantage? 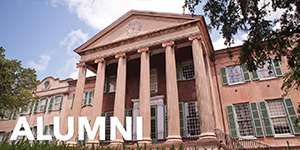 The Cougar Advantage guarantees admission to the College of Charleston for SC resident students that graduate in the top 10% of their class and attend a public high school in Allendale, Bamberg, Barnwell, Beaufort, Berkeley, Calhoun, Charleston, Clarendon, Colleton, Dorchester, Georgetown, Hampton, Jasper, Orangeburg, or Williamsburg county. 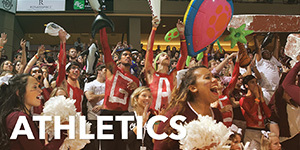 Additional information regarding Admissions qualifications can be found on http://admissions.cofc.edu/applyingtothecollege/freshmen/cougar-advantage/index.php. What is the Cougar Advantage Pledge and how do I qualify? The Cougar Advantage Pledge is for students that meet the Cougar Advantage qualifications above and are eligible to receive a federal Pell grant. For students that meet that criteria, we are guaranteeing that they will receive; at minimum; gift aid to cover full time tuition from a combination of state, federal, and institutional sources. What is considered gift aid? Is this a free ride scholarship? No. 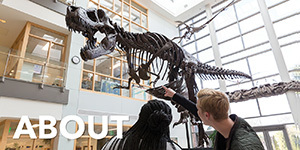 The Cougar Advantage Pledge only covers the cost of full time tuition. Students can apply for other sources of aid such as loans to help cover the cost of housing and applicable meal plans. Can I apply for Cougar Advantage Pledge if I gain residency after being accepted? No. Residency has to be established prior to high school graduation. If I lose my state scholarship will I remain eligible for the Cougar Advantage Pledge? No. In order to remain eligible for the Cougar Advantage Pledge in each subsequent year, a student must remain eligible for the federal Pell Grant each year and maintain eligibility for their state scholarship. If I lose eligibility for the Pell Grant or State Scholarship and regain eligibility at a later date would I regain eligibility for the Cougar Advantage Pledge? No. Students must maintain eligibility year to year. Students cannot regain eligibility once it has been lost. Will I still be eligible as a fifth year student? 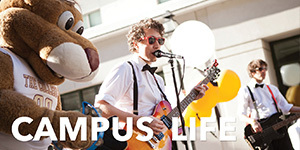 The Cougar Advantage Pledge is only available for up to a maximum of 8 semesters (4 years). Does my FAFSA have to be at the College of Charleston by March 1st or just submitted to FAFSA? 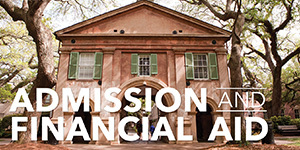 A valid FAFSA must be submitted and received by the College of Charleston no later than March 1st. Am I eligible as a current student? This program is not available for current students. Does this apply to transfer and gap year students? This program is not available for transfer or gap year students. Students must be enrolling at the College of Charleston in the fall semester immediately following high school graduation. What if my FAFSA shows that I am not Federal Pell Grant eligible, but I have a change in my financial situation? If you are a Cougar Advantage student, have submitted your FAFSA to CofC by the March 1st date, and your family has experienced a change in your financial situation, a Parent Contribution Adjustment Request Form (PCAR) will need to be submitted to financialaid@cofc.edu no later than July 1st in order to be considered for the Cougar Advantage Pledge. I am qualified for SC Palmetto Fellows but MyCharleston shows the LIFE scholarship. The SC Palmetto Fellows scholarship is awarded through the SC Commission on Higher Education. All institutions are provided a list of eligible students. Once we receive the notification of eligibility from the SC Commission on Higher Education, we will update the award in your MyCharleston. I am majoring in Math or Science and have a state scholarship, how do I qualify for the state enhancement? 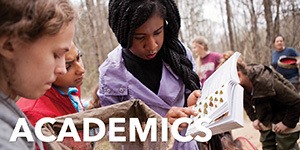 The state scholarship enhancement qualifications can be found on our website at http://finaid.cofc.edu/types-of-financial-aid/scholarships/state/enhancements/index.php. Does the summer term count in meeting my renewal criteria for scholarships? Yes. You do have the option of taking summer coursework and having it count toward your renewal criteria for scholarships. If you are a LIFE scholarship recipient, you can take the coursework at any institution (during the summer). If you are a SC Palmetto Fellows or institutional scholarship recipient, in some cases, you may be required to take the courses here at the College of Charleston. Please refer to the scholarship renewal chart for additional information. If I withdraw from a class, will it affect my scholarship? Please keep in mind that you must be enrolled in a minimum of 12 credit hours for your scholarship to disburse. When withdrawing from classes you will also need to be mindful of the scholarship renewal criteria for your scholarship. Please be sure that you are on track to meet the renewal criteria for the following academic year. I am a transfer student. Am I eligible for institutional scholarships? Unfortunately, institutional merit based scholarships are only offered to entering freshmen. I am a resident of SC and I am transferring to the College of Charleston, how do I transfer my state scholarship? In order for our office to evaluate your eligibility for the LIFE scholarship, please submit a copy of your final high school transcript to the Office of Admissions. Once we have received the information, we can determine if you are still eligible to receive the scholarship here. Palmetto Fellows recipients that are transferring from another institution to the College of Charleston need to complete a transfer form with CHE. How do I apply for institutional merit based scholarships? Students that qualify for a College of Charleston Merit Scholarship will be notified of the award with their acceptance letter from the Office of Admissions. The selection process is highly competitive due to the high number of qualified applicants and available funding. Students will be evaluated among their peers in the freshman applicant pool to determine scholarship eligibility. Students that qualify for scholarships from the Honors College or other departments will be notified of those awards separately no later than March 1st. Students must apply for any Departmental Scholarships or Specialty Scholarships, like Alumni sponsored scholarships, through the awarding department. Any questions regarding those funds should be directed to the awarding department. There are many outside scholarships listed on our site that require applications. Information on outside scholarships can be found here. I am an upperclassman, how do I apply for institutional scholarships? Departmental Scholarships. You could check with your particular program of study to see if a departmental scholarship would be available. Specialty Scholarships Specialty Scholarships are departmental scholarships which are not associated with one particular major. The department determines the applications, awarding and terms of the scholarship, so students interested in a specialty scholarship should contact the department, not the Office of Financial Assistance and Veterans Affairs. I am a senior with a scholarship. Do I still have to earn 24 hours after this year? The renewal criteria are set for students that are renewing their scholarship for the next year. As a senior, you would not be renewing the scholarship for the next year, and as a result, would not be required to take 24 hours. However, in order to be eligible for scholarship disbursement during your senior year, you must be enrolled in a minimum of 12 credit hours per semester. My student is an entering freshman, when will I know if he/she has been awarded a scholarship? Entering freshmen will receive a notification no later than March 15th. Once a student has been awarded they are notified by email. My student is an entering freshman, when will I know if he/she has been awarded financial aid? Entering freshmen are notified no later than April 15th. Once a student is awarded they are notified by email. What are the renewal criteria for my scholarship? Each scholarship has its own renewal criteria. Please visit the scholarship renewal chart for additional information. How do I apply for a Pell Grant? The Pell grant is a form of federal funding. In order to determine your eligibility, you must complete a FAFSA (Free Application for Federal Student Aid). The data from this form will help us determine if you are eligible to receive the Pell grant. I logged into MyCharleston to accept my Pell grant but I was unable to accept it. If a student is eligible for the Pell grant, it is automatically accepted when it is awarded. Students still have to accept the Terms and Conditions of their award in order for the Pell grant to disburse. I was eligible for a Pell grant last year, but I didn’t get one this year. Pell grant eligibility is determined each year. If your FAFSA information has changed drastically from previous years, it can affect your eligibility for the Pell grant. I received multiple sources of need based aid last year and did not get them this year. Many sources of aid come from programs with limited funds. In order to receive priority consideration for need based aid, you must have a valid FAFSA on file by March 1st. What types of funding are considered financial aid? Financial aid can come in the form of scholarships, grants, and loans. Subsidized student loans are based on financial need. The government pays the interest on federal subsidized student loans while a student is enrolled at least half time at eligible institutions. Unsubsidized student loans begin to accumulate interest after the loan has been disbursed. What are the interest rates on student loans? Interest rates are subject to change each academic year. Please visit https://studentaid.ed.gov/types/loans/interest-rates to verify current rates. Why is the loan amount that I accepted different from the amount that was credited to my E-Bill? All federal loans are subject to a loan origination fee. For updated origination fees, please visit https://studentaid.ed.gov/types/loans/interest-rates. How are federal student loan limits determined? The Department of Education sets a maximum amount that a student is eligible to borrow (based on their grade level). Additional information regarding loan limits can be found at http://studentaid.ed.gov/types/loans/subsidized-unsubsidized#how-much-can-i-borrow. I only accepted a partial amount of loans originally, how do I increase that amount? If you would like to increase the amount of your federal student loans, simply send a request to our office by email (financialaid@cofc.edu) and be sure to include your student ID in the correspondence. If your parent would like to increase the Parent PLUS loan, please complete the PLCF and submit it to our office for processing. When I accepted my loans in MyCharleston, it split the amount equally and I want it allocated differently. How do I make the changes? We award students for the academic year (Fall and Spring). The system is designed to split award amounts equally between the Fall and Spring. If you desire a different allotment, simply accept the amount that you wish to receive in total for the year and follow up with an email to our office specifying how you want the funds allocated per semester. How do I apply for a loan for summer classes? A separate financial aid summer school application is available for students to complete around March 15th. All students requesting financial aid for the summer must complete the application. Once the application has been received, each student is evaluated for loan eligibility. Generally, the amount that a student can receive in federal loan funding is only the balance of what they did not use during the academic year. How do I apply for a private (alternative) loan? Each lender has its own application process. Our office does not have an implied relationship with any outside lender. We have a link on our website of lenders that College of Charleston students commonly use. I applied for an alternative loan and was approved, but I don’t see the money credited to my E-Bill. Alternative loans are disbursed by the actual lender. Generally, there is a 10 business day delay in disbursement (after the loan has been certified by our institution). If it has been more than 10 business days, please follow up with your lender for details on the disbursement process. How does my parent apply for the Parent PLUS loan? The parent that wishes to apply must have a PIN# that has been created through the Department of Education’s website (www.pin.ed.gov). The parent must log into www.studentloans.gov with THEIR personal information and select the link that reads “Request a Direct PLUS Loan”. This will allow the parent to complete the application electronically and in most instances receive a decision instantly. Who is responsible for payment of the Parent PLUS loan? Parent PLUS loans are borrowed in the name of the parent for the benefit of the student. Once the loan enters repayment, the parent is held responsible for the monthly payments on that loan. Can students apply for a Parent PLUS loan? No. Parent PLUS loans are reserved for parents of undergraduate dependent students. I applied for a Parent PLUS loan already but there is still a request for the application in MyCharleston. Once a parent completes the application for a Parent PLUS loan through www.studentloans.gov, it generally takes 5-7 business days for that information to be uploaded into our system (and reflect in your MyCharleston account). If an application has been submitted and it has been at least 7 business days since the completion of the application, please contact our office at financialaid@cofc.edu for additional troubleshooting. If I withdraw from a class and drop below full-time, will it affect my financial aid? Please refer to the Withdrawal Information for Financial Aid students. I keep getting emails about my file being incomplete but I can’t log into MyCharleston. If you have recently applied to the College and you are receiving emails regarding your file being incomplete, it is likely that we have received your FAFSA but have not been notified that you have been accepted as a degree seeking student. Generally, you receive permanent MyCharleston credentials upon acceptance. If you are a returning student and you are not able to log into MyCharleston, please contact the Helpdesk at helpdesk@cofc.edu. I am transferring to another school. How do I transfer my financial aid? Please notify our office in writing of your intent to transfer. This notification can be sent by email to financialaid@cofc.edu. Once we have received your notification, we will cancel any additional awards scheduled to be disbursed. You will need to apply for financial aid with the new institution. I have questions about my E-Bill or refunds. Both of these areas are functions of the Treasurer’s Office. Please contact them directly at treasurer@cofc.edu. In MyCharleston I can see that I am on suspension, what are my options? We evaluate students annually for Satisfactory Academic Progress (SAP). SAP is measured by two standards: pace to completion and GPA. The SAP Policy details the standards by which students are evaluated. For students that are on suspension, there is an option to appeal. The SAP appeal form must be submitted within the timeframes listed on the form. How can I communicate with the Financial Aid Office? We primarily communicate with students via email. Our email address is financialaid@cofc.edu. We also have counselors available to speak with parents and students by phone. Our office hours are 8:30amto 5:00pm. Our phone number is 843-953-5540 and our fax number is 843-953-7192.